The scene was set. There we were 50 or so of us, sitting in a church, participating in an event relayed by radio from miles away. The massive choir was surging with emotional hymns; the warm up soloists and preachers were doing their stuff; some well known celebrities were introduced giving credence to the occasion; and the handsome American evangelist stood up and spoke in a way I had never heard before. He created a blessed assurance within me that ‘yes’, being saved was the only answer. And so when he said ‘I want you to get up, out of your seat and come to the front’, I just knew I had to do it. It was salvation for me and an end to the sinfulness of the old life. The life of this 14 year old had already been getting a bit nasty. Puberty was raging and so were the feelings which accompanied it. I knew I had to do something about it and this ‘coming to the front’ was my way. Well I tried. Yes I really did try. I assumed that all the usual things which were associated with the normal life of a 14, would deal with it. Girl friends, interest in football, devotion to Doris Day (!) might help too. Perhaps though, as a bit extra, I needed to commit myself more to my faith. Total dedication of my whole life would surely sort it out. Yet however much I tried to change, my problem was that my eyes always focussed on other guys and how they looked. However much I tried to think about relationships, marriage, family, there remained a nagging realisation that men were really quite cool. At one point I thought that perhaps I was actually living through a massive, never ending nightmare, from which sooner or later I would wake up, but that was just a pipe dream. Perhaps I thought I was also going through a phase which, given the right circumstances and action, would ultimately come to an end. What I was going through was unique, wasn’t it? I had never met anyone who confessed to the same feelings. So what was happening was all about ‘ME’, and I was therefore the solution. Later when at university I began to suspect that others might see through me and know the truth and so I had the double task of not just trying to understanding myself but also of working hard to ensure that I was thought to be firmly a part of ‘them’. I spent a lot of time cultivating that image. This was all very well, of course. The law didn’t have the same view, as my Theodore, and neither did my religious belief. So best to bury that emerging feeling of ‘US’ and work hard at creating a new understand of ‘ME’ but also incorporating what I had read – after all it could very well still be a phase. Well it wasn’t a phase. The real ‘ME’ continued being churned up by a whole load of conflicting and confusing feelings and activities. I did my best to give in to a majority feeling about right and wrong, and to bury that emerging feeling of ‘US’ liberation to the darkest recesses of my being, but the conflict was increasingly harming my health and I was also destroying the lives of others who had done nothing to deserve it. Deep down I knew that only by recognising the real ME could I possibly live a fulfilled existence. Eventually I found someone else to love. Another me, like ‘ME’, and I experienced the joy and contentment of being part of an ‘US’. We joined a like minded group and soon revelled in that secure feeling of there being so many of ‘US’. As the years went on and with changes in the law, that feeling of ‘US’ became so strong that we could cease being ‘US’ in secret and could now happily become more outwardly ‘US’. The ‘THEM’ of the old life simply became a ‘Them’. Events such as gay pride with the many thousands of ‘US’, became for me hugely influential, and even with the emergence of AIDS, that affirming sense of being ‘US’, may have wobbled, but it never ceased. Joyfully nowadays ‘WE’ seem to be everywhere; we are champions of industry; we are politicians; we are neighbours and friends. Everywhere my feeling grows of being happy to be ‘US’, and we are more properly inclusive with the ‘US’ being those who are trans and those who are bisexual. At times we are still under pressure, and sometimes under threat, but generally we continue to recognise our allegiance to each other and we are there to promote the needs of those who are especially under pressure, such those who are bullied. We remain an US. Well I thought so, but then I started to look at some activities within the LGBT community and some statistics too. For example as an 74 year old I now know that I am one of an estimated 1 Million of ‘US’ over 55. Then I look at the way LGBT groups, serving the whole community, promote themselves and when I look in their publicity for images which are more like ‘ME’, a 74 year old, I find few, if any. I look for proactive and positive approaches towards my age sector and don’t find much, which probably means that money and resources aren’t exactly being heavily channelled in the direction of my needs. And I am starting to feel that I am losing that sense of being ‘US’ and in danger of becoming a ‘THEM’ within my own community. I realise that, when spoken of, or written about, we are sometimes being lumped together as ‘over 55s’ – a spread of 40 years of existence. I can assure you that being 74 is an entirely different experience to being 54. Young LGBTs of 15 would find it laughable, when strategies are being created, to be lumped together with LGBTs of 39 – for some of them the process would be like linking them with their fathers. The point is that even in old age the changes are dramatic and LGBT service provision needs to reflect that. I look at some of the documents about those like ‘ME’ and feel that essentially the aim is only to inform those outside the LGBT community. I look in vain for some ownership of the issue, by the LGBT community itself, which clearly and unambiguously accepts that ‘SENIORS ARE OUR RESPONSIBILITY TOO!’. In one document I have found some welcome examples of good practice in dealing with older LGBTs but, such was the absence of any proactive enthusiasm for this information, that no link details were provided and no indication of there being a co-ordinated strategy to encourage others to follow such examples. One issue related to some LGBT elders is that they are more firmly in the closet than those in other age groups and this is an important challenge especially when they are faced with having to accept help from service providers and health professionals. I see no campaign, no special effort, no supporting service to encourage older LGBTs to ‘come out’ and thus make the process of receiving help easier and also of enabling a holistic approach to their need. I look for clear specific advice about how older LGBTs should ensure that their end of life arrangements fitted their situation and needs, and, more especially, the creation of Power of Attorney but so far haven’t found much. I look for schemes and opportunities enabling older LGBTs to create successful and meaningful relationships, bearing in mind the physical, mental and social advantages which result, but there are few. Where is the organisation and funding available for creating these? Then there is the question of who, we elders, really are. It is likely that, more than in other LGBT age groupings, we have been married and have children. If this is the case, it takes little to imagine the social and psychological issues which might emerge requiring advocacy, support, and advice. Where are the services to meet such needs? Let’s also sadly recognise the huge numbers within our population who have been diagnosed with dementia. There could be 800,000 of them. That means there could be 40,000 of ‘US’. So what are the responsibilities of the LGBT community in this case? Yes, we can expect that organisations like the Alzheimers Society might recognise our existence and meet our needs, but was that our approach when dealing with the AIDS pandemic, or did we buckle down and start organising for ourselves too? And there are other issues such as housing, and alcohol, and drugs, and mental health and jobs and those still married. An overwhelming number I accept. Nevertheless the LGBT community (remember that’s ‘US’) is not without its resources and financial power. My question then would be, is the OLDER part of the ‘US’ getting its fair share? And here is a similar question. Were it to be true that the organisations representing the LGBT community were receiving some £millions to fund their work, would it be fair to expect that they would spend a just proportion of that money on older LGBTs who make up at least 25% of the total LGBT community? 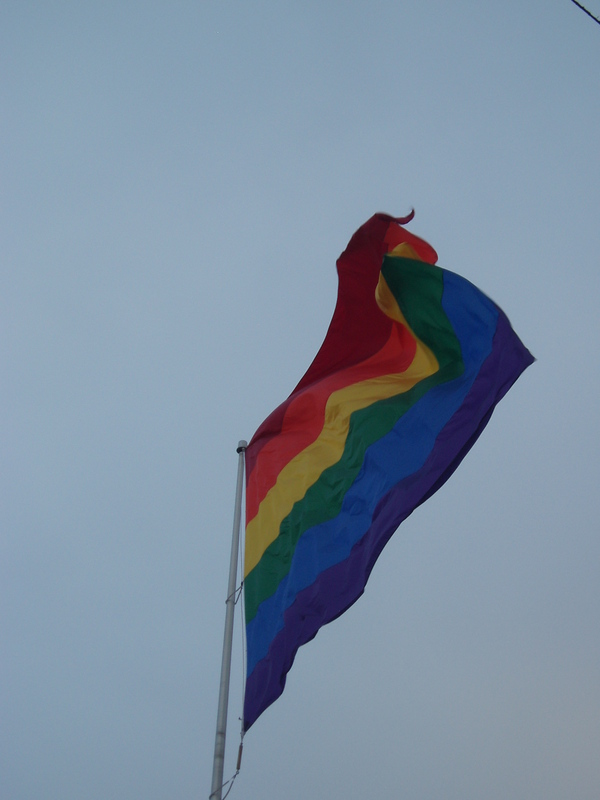 It is a gladsome thing to be a member of the LGBT community. Even better to be valued, not just for what we have done, but for who we are now. Please continue to prove that we are fully, and firmly ‘US’ and will continue to be so. We are a priority.